At James, we find inspiration in the idea of the indispensable. The people that make it all happen, and the tools they rely on. Yesterday, today, tomorrow. Everyday. 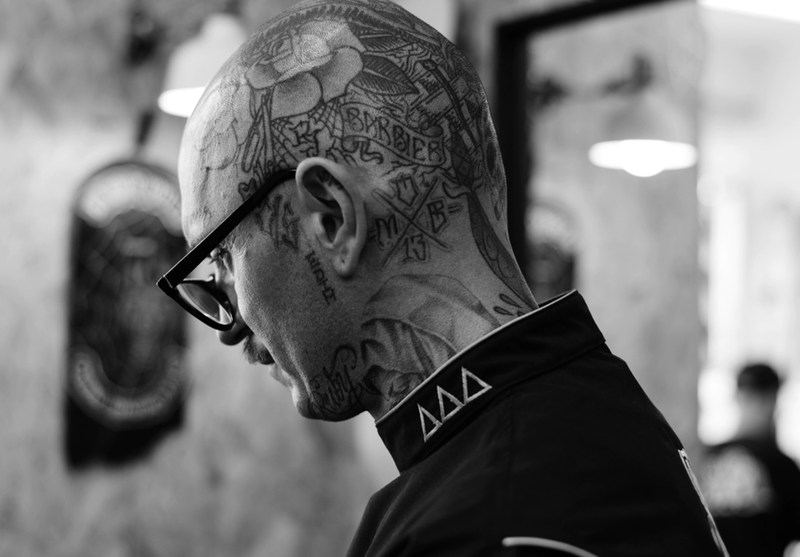 In Sine Qua Non – Volume 3.1 we meet up an indispensable pioneer of the UK's revolutionary barber movement, Paul Hewitt:: barber, entrepreneur, tattoo aficianado, family man, motorcycle rider. As with anyone who’s helped to pioneer a movement, Paul has been equal parts inspiring and polarizing. His journey has taken him all over the globe and garnered him features in the press. It's helped him into long-standing relationships with some of the world’s most classic skate and streetwear brands, and elevated his unique personal brand to prominence within the global barbering community. But reputation and notoriety come with their ups and downs, and through it all Paul realized that what truly matters the most to him is his time behind the chair– and a renewed focus on the traditional barbershop customer experience.